Roger along with millions of others worldwide has seen through the horrendous range of lies which is anthropogenic induced climate change. Roger has found it does not take a genius to see through the barrage of propaganda. 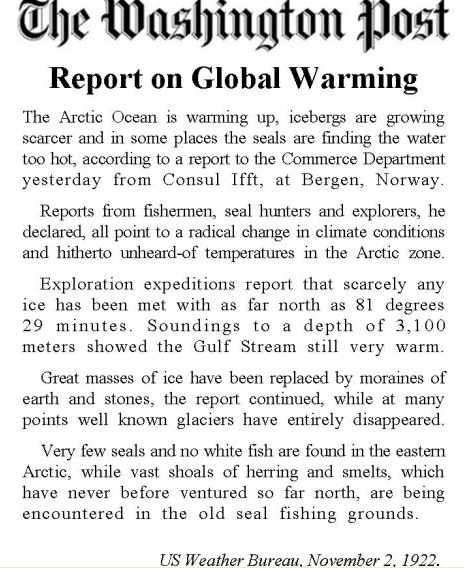 All that is needed is to consider the fact that before there was any human induced CO2 in the atmosphere, there have been warmer periods (that is warmer than at present), and several of these times were within historical times! Rogers blog explores the duplicity of the main players with the help of a cartoon by using the obvious parallel between Hans Andersen’s “Emperors New Clothes” and the non existent poisoning of the earth by the friendly gas CO2. In the comments and other pages, Roger is listing some of the biggest lies and most importantly in Porky No. 3 , links his blog together with emails from Climategate to show that there is an intention to change past history by attempts to claim there were no previous warm periods in the earths history. Roger, appreciate your comment to a recent post on Learning from Dogs. I’m in search of the truth and the first to admit that using ‘instinct’ to determine that could be very unreliable. So great Blog here! Hi Roger, like your blog. Lies eventually come home to roost and they are flying back in squadrons right now. If you haven’t already done so, check out the latest on WUWT – a fairly detailed list of Greenpeace and WWE opinion pieces presented by the IPCC as peer-reviewed science in AR4.As to the current NZ politicians in power, who were elected way after my wife and I opted for the big OE, think in terms of sceptic tanks – the big chunks always float to the top. My first look at Keys was when he was promoting PFIs (private finance initiatives) so beloved of Brown as a way of hiding govt spending by getting it off the official balance sheet. As a former teacher, I know that the curtrent govt push at home to have national stats on each schoolkid is just the sort of wonderful idea that has crippled state education in the UK and the USA. No doubt the UK will walk away from it just as NZ adopts the silliness. The UK teachers unions have organised a boycott of it if SATS are not dropped this year.My old man used to insist when I was growing up that ‘any man who wants your vote is automatically suspect’! Thanks for visting and commenting on my blog. I’ve just started reading yours, and it looks interesting. It appears we have similar reasons for starting our blogs – the payments we get from big oil! Ha! Ha! Yea, we’re just two ordinary guys upset with all the spin and scaremongering. Keep up the good work, and get the word out! Thanks for visiting, hope you wil have time to return and explore some of the links on my blog as well. Very reveiling I think. I found your wonderful blog via your little dust up with Cedric and Ken on “Open Parachute”. I had tried something similar a few weeks earlier with the same result. Those guys come across as religious zealots rather than scientists; even though Ken is a retired scientist he has difficulty with ideas outside of his own field of plant and soil chemistry. I was born in Wales; my “gallopingcamel” monicker stems from my days playing for Cambridge university, Coventry, Durham City and NIFC. As a rugby player I have a keen appreciation of the greatness of New Zealand in this sport. I have been to New Zealand (Upper Hutt) on several occasions. Today I live in Florida. I got this crazy idea that if “Alarmists” and “Deniers” could agree on something there would be a better chance of persuading our leaders to act in a constructive way, increasing wealth rather than destroying it. Consequently, I tried to set up communications with bloggers on unfriendly websites, just as you did, without success. Now I am wondering if the idea would work better through a “friendly” site such as yours. 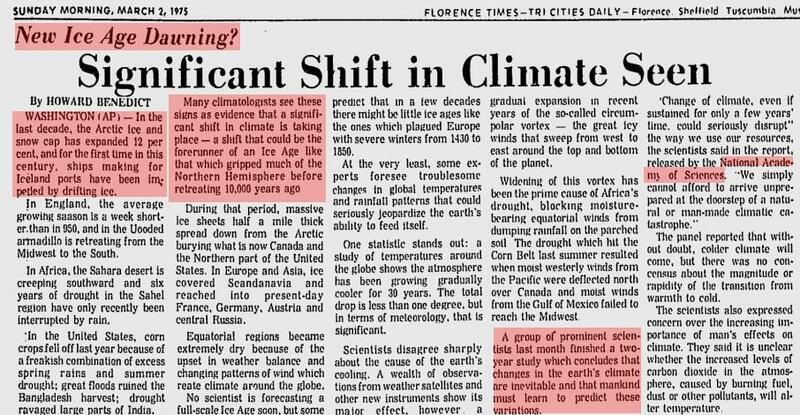 You may have noticed that some of the most extreme AGW folks (e.g. James Goldsmith and James Hansen) are in favour of nuclear power. So am I but for quite different reasons. Would you be interested in setting up a thread on your blog to discuss the issue of “Green Nukes”? I spent twelve years as a physics researcher in electro-optics and this put me in contact with many nuclear physicists. I am trained in nuclear radiation safety and wish to reduce the inventory of dangerous radioactive elements in our environment while increasing electricity generating capacity from nuclear sources. What you say concerning Nuclear Power makes a lot of sense. In my new page where I am analysing likely economic effects flowing from CO2 emission reductions, once hydro generation sites run out, I see nuclear generation as the only mitigating possibility, should our governments take on IPCC requirements. If its OK I might email you soon for some direction on nuclear generating etc. I look forward to hearing from you “off-line” as you have my email address. I tried to get a dialog going at various Alarmist sites. The most scientifically literate folks I came across were at Deltoid (Tim Lambert’s blog). The dialog starts at #57 (January 19, 2010) and it looked promising for a while as some of these guys understand many of the issues. Hi Roger, like your blog. Lies eventually come home to roost and they are flying back in squadrons right now. If you haven’t already done so, check out the latest on WUWT – a fairly detailed list of Greenpeace and WWE opinion pieces presented by the IPCC as peer-reviewed science in AR4. As to the current NZ politicians in power, who were elected way after my wife and I opted for the big OE, think in terms of sceptic tanks – the big chunks always float to the top. My first look at Keys was when he was promoting PFIs (private finance initiatives) so beloved of Brown as a way of hiding govt spending by getting it off the official balance sheet. As a former teacher, I know that the curtrent govt push at home to have national stats on each schoolkid is just the sort of wonderful idea that has crippled state education in the UK and the USA. No doubt the UK will walk away from it just as NZ adopts the silliness. The UK teachers unions have organised a boycott of it if SATS are not dropped this year. My old man used to insist when I was growing up that ‘any man who wants your vote is automatically suspect’! Roger, I have to say you have a great blog. What you might be interested in looking at is the site with all those climategate emails. I am aware of the ClimateGate emails thanks and in one of my comments (Porky No.3) you can see that I have selected a group of those emails, in which incredibly, they are discussing how history can be changed because of the embarrasment of the Medieval Warm Period to them and the IPCC and how they can minimise the damage of including the MWP in The IPCC in their 1990 report (Fig 7.1 c).